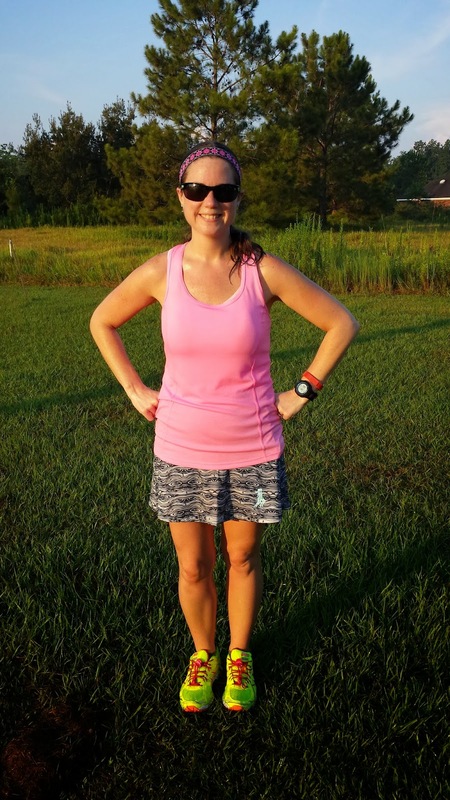 Road Runner Girl: 9 Mile Training Run! 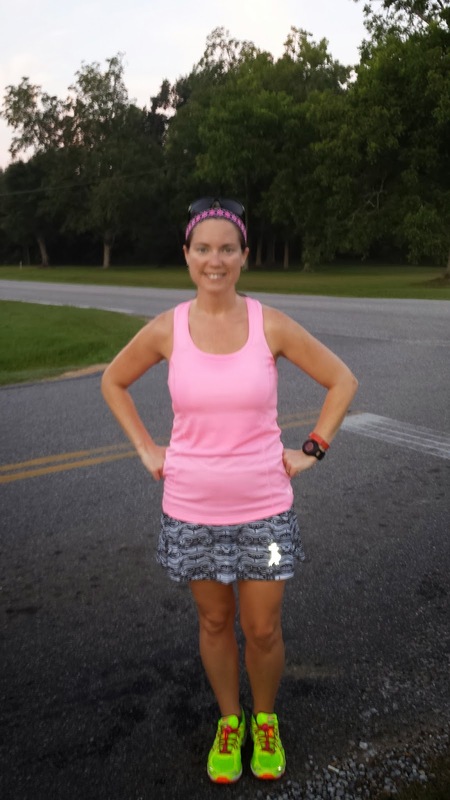 Saturday was my 9 mile training run with my Sole2Soul Sisters! I'm so very blessed to have this awesome group of ladies to run with! The route I planned had a few rolling hills but nothing too bad. I was looking forward to running with some different scenery. 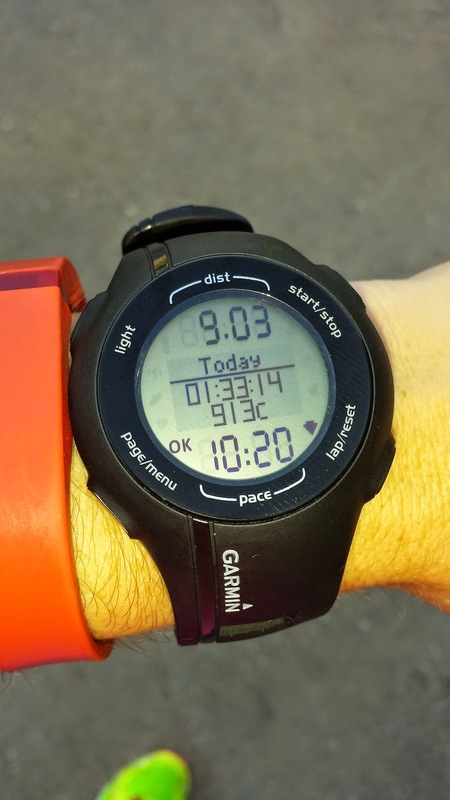 I've done so many of my runs near my house lately and needed a change! Luckily when I woke up this weekend there was NO RAIN!!! Yay!!! Even the humidity was a little lower that morning which was awesome! The run started out great! 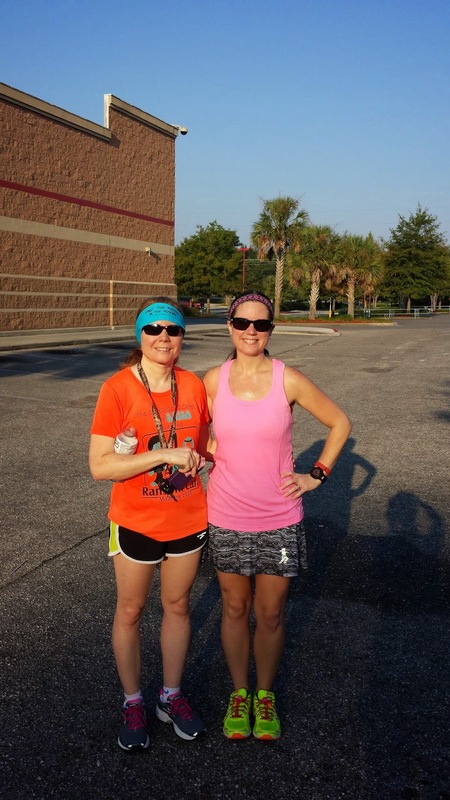 I was running with my friend Andria again this week! I just love running with her! We are the same pace and have lots to talk about when we run! Before we knew it we were at our first water stop at mile 3! 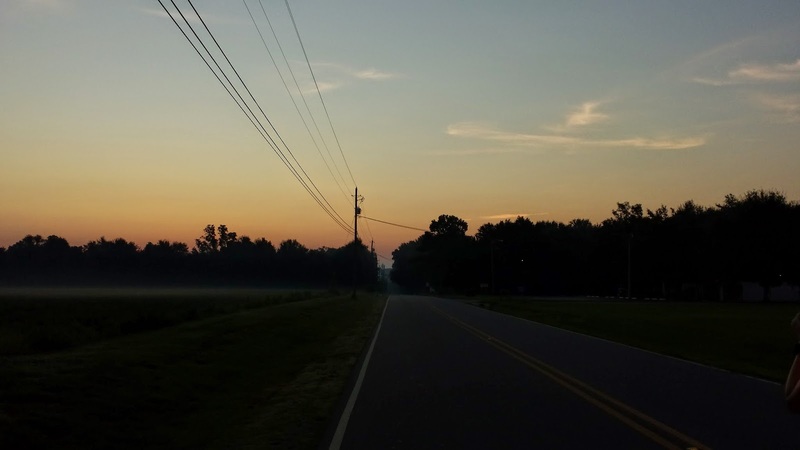 After some water we started running again and witnessed the beauty of the sunrise! We also had our first hill here but I barely noticed it. Andria and I were too busy talking and enjoying the run! I was feeling amazing and I was hoping it would stay that way. We made a few more turns into two more neighborhoods and then we were at another water stop at mile 7.5! We were almost done!!! We made it to our finish line...the parking lot at Target! It was another great run with Andria and my sisters! After the run I was drenched with sweat! My skirt was literally sticking to me! And I could wring it out it was so wet! So gross but also makes you feel pretty awesome knowing you worked hard to be that sweaty! 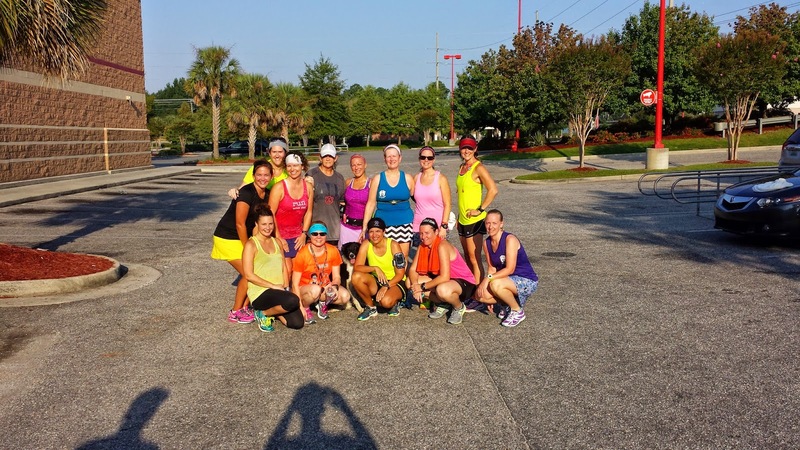 QOTD: Do you run with a running group?